Upcoming representations of Lady Liberty on currency will supposedly seek to even further represent people of color in America. What do you think of this design? 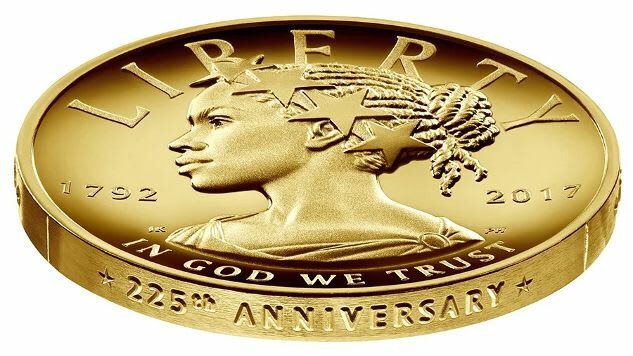 An upcoming $100 gold coin commemorating the 225th anniversary of the U.S. Mint and Treasury has been designed to depict lady liberty as a woman of color. This will be the first time in history that lady liberty will be depicted as a person of color. Designed by Justin Kunz the 24-karat gold collector's coin will be released in April of 2017. According to Elisa Basnight, U.S. Mint chief of staff, the coin's design is merely the first step in better representing the diverse faces of liberty in America in the coming years. As we as a nation continue to evolve, so does liberty's representation. We live in a nation that affords us the opportunity to dream big and try to accomplish the seemingly impossible. 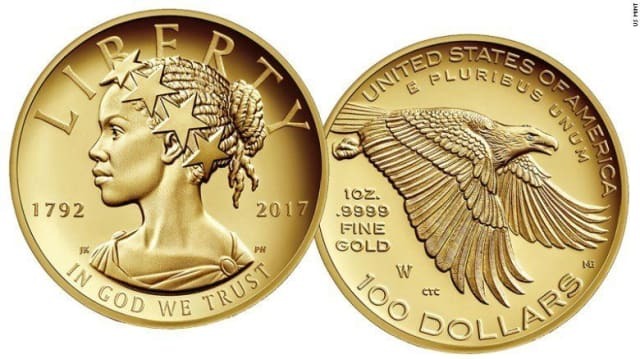 Future representations of Lady Liberty on U.S. currency will also reflect more diversity with plans in place for coins featuring Asian Americans, Hispanic Americans, Indian Americans, and others. How do you feel about an African-American depiction of Lady Liberty? I like it! The spirit of liberty is for all people! I don't love it. Why doesn't it look like the statue?